In 1997, Aussie twenty-something Robyn Davidson decided, as you do, that she needed to walk across Australia, from Alice Springs to the Indian Ocean, aided only by the three camels that she would train to accompany her. So far, so normal. This journey of 1,700 miles would take six to seven months, be conducted entirely on foot, and encompass some of the most breathtaking and unforgiving terrain on the planet. Her story was told through a photographic feature in National Geographic, the overwhelming response to which led to her book, Tracks, which finally found its way onto the big screen, adapted by Marian Nelson and directed by John Curran, with Mia Wasikowska playing Davidson. It’s an extraordinary story but a baffling one. Robyn is not a particularly sympathetic character. That’s not to say she’s unpleasant or malicious, but she strode out into the desert because she wanted to be alone, and away from people, the company of most of whom she didn’t particularly enjoy. 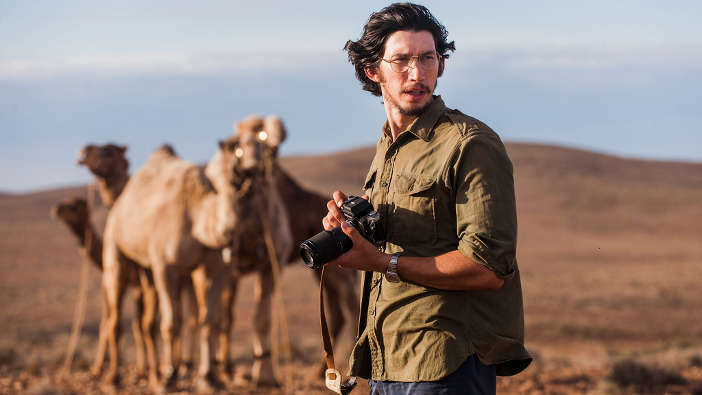 The other ostensible lead in the film is Girls’ Adam Driver, who plays Rick Smolan, the photographer who chronicled her journey for National Geographic. In return for this unwelcome intrusion into Robyn’s endeavour, the American magazine provided financial support for the journey. I went into the film fully expecting its makers to have shoehorned the narrative around a non-existent fairytale romance between Robyn and Rick, and admirably, they haven’t. The film stays true to the fact that Robyn didn’t want him there, didn’t feel that she needed him there, or anyone else for that matter, and treated him at best as an occasionally useful ally and at worst as an unwelcome, moronic irritant. However, I found that the film ultimately shared Robyn’s impenetrability; whatever insights she gained through her travels stayed with her, and they are certainly not revealed to the audience. This creates something of an emotional void at the heart of the film, and it seems plain that Curran has responded by filling this gap with a musical score from Garth Stevenson which is pleasant enough, but hugely overwrought. At times it can be like watching an advert from the Australian tourist board, with an Ibiza chillout album blasting out alongside it. Perhaps some pained silences would better have reflected the solitude that Robyn Davidson sought, found, and wrestled with; as it is, when the credits rolled I still felt very little connection to, or engagement with, the journey that she embarked upon, fraught with danger and in spite of the wishes of her concerned friends, family and loved ones. Those are the negatives, but I must mention the positives. Robyn Davidson had read, considered, and rejected several cinematic interpretations of her book, but the straw that broke the camel’s back (or hired the camel wrangler, as it turned out) was the casting of Mia Wasikowska as the lead, and as always she’s superb; it’s a different turn from where I last saw her in 2013’s peculiar Park Chan-Wook family drama, Stoker; in Tracks she blends the fragility of a young woman taking an enormous mortal risk with the hostility and prickliness of a uniquely committed isolationist like Davidson. It’s a tough balancing act but she pulls it off, and is supported ably by Adam Driver who, while lacking in much of anything to do, is a charming presence, bringing out the latent humanity in Robyn. 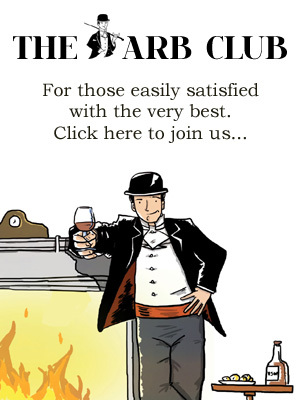 The most striking character is, of course, the majestic scenery of the Australian outback, and there is a primal glory to the unrelenting heat and expanse of it all. Go for the scenery, stay for Wasikowska, but don’t expect to learn the greater truth behind Robyn’s trek: she may have found something, but if I’m honest, it eluded me.